The final scene of our new co-production of The Flying Dutchman. Photo by Jeff Roffman/The Atlanta Opera. Whenever I approach operas by Richard Wagner—which I try to do as often as possible—I begin by accepting that they are complex in construction and intention. They defy easy explanation. The more I try to understand these works, the more elusive they become. And that is part of their fascination. Wagner operas do not ask to be understood. They are to be experienced. Characters in Wagner are, for the most part, examples of frailty and imperfection. This observation applies to gods as well as mortals. In Tannhäuser, Lohengrin, and Parsifal, Christian religion gives the protagonists their context and conflicts. The four operas of Der Ring des Nibelungen are not cognizant of traditional religion. Instead, this cycle is a narrative of the power of nature to both nourish and destroy, and of the extraordinary power of love to put things right. Der Fliegende Holländer (The Flying Dutchman), composed in 1842 and premiered in Dresden on January 2, 1843 when Wagner was 29, was his fourth opera and the earliest one that still appears regularly on stages throughout the world. In many ways it contains the aesthetic material that Wagner would return to and elaborate on for the rest of his life. It is the opera I recommend to people dipping that first tentative toe into the raging torrent that is the art of Richard Wagner. Its melodies are irresistible and the story is compelling in that it is simultaneously realistic and otherworldly. Der Fliegende Holländer is about certainty. At least I think so. This is the story of a man condemned to sail the seas in a ghostly vessel that can only touch land once every seven years. He is certain that he is doomed. It is also the tale of Senta, a mystical young woman who is certain her mission is to save (or, as some people say of Wagner heroines, redeem) this man. These characters are surrounded by others certain only of the precariousness of life. They live in the here and now—fishing, hunting, spinning wool, drinking, and dancing—accepting almost without question what their fate is. In so doing, they make the absolutism of the Dutchman and Senta even more vivid. Senta paved the way for Elsa, Elisabeth, Brünnhilde, and the other glorious heroines Wagner created. She also exemplifies, in many ways, what the composer would become. Wagner’s vision of himself was based on an unshakable faith in his own dreams and the mythologizing he engaged in to realize them. Wagner was and is a lightning rod who makes us ask questions about ourselves and what we believe. He was fascinating and self-serving, compelling and repugnant. But you could not ignore him. Opera lovers who are devout Wagnerites tend to embrace the complexity and inconsistencies of his art and life, and admire these things in other people as well. 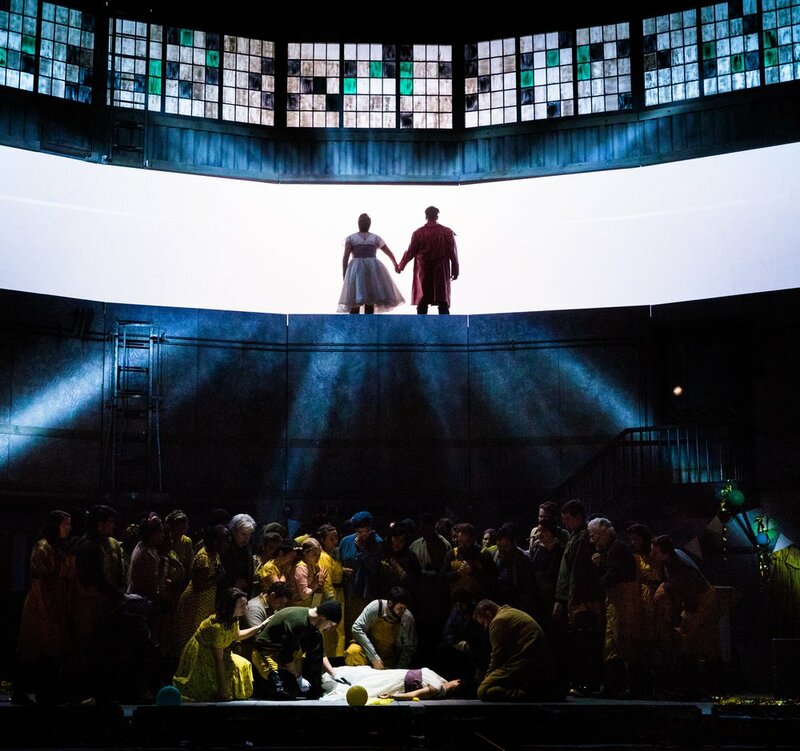 Whether you are new to Wagner or have spent your life immersed in his world, Der Fliegende Holländer works its magic by giving you new ways to dream. Of that I am certain.